PROJECT NAMING will be taking place at the Library and Archives Canada and Carleton University from March 1 – 4, 2017. 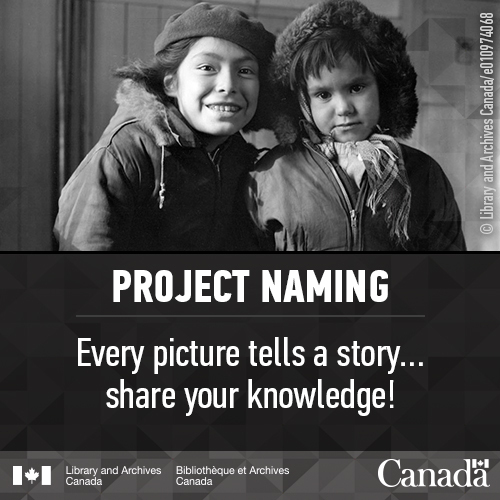 “Project Naming enables Indigenous peoples to engage in the identification of photographs from Library and Archives Canada. LAC hopes that members of the public will share their knowledge. If you know the names of people depicted in our photographs or have information about an activity, event or place, LAC would love to hear from you. All sessions are FREE and everyone is welcome to attend.